Our therapists and counselors at Evolution Counseling Services, LLC have a combined experience of over 150 years working with adolescents and families in the community. Our staff consists of Master level clinicians and Bachelor level clinicians with many years of experience. Our staff matches to the cultural and ethnic backgrounds of the youth/families that we serve. Our therapists/counselors have been recruited locally within the community and we recognize that successful treatment requires cultural competency and diversity. Both, in which, create successful completion of treatment for youth/families that have traditionally resisted treatment. Our experienced staff is here to make sure each case is handled properly and that we meet the needs you are seeking. Craig, LSFW, Co-Owner & Executive Director of Evolution Counseling Services, LLC. Craig currently resides on Beldin Hollow Farm in beautiful Cambria County. Craig met his wife of 25 years and started his family of three beautiful daughters during his 50 years of being a Blair County resident. If Craig is not in the office you will find him with his family, working on the farm, fishing along a stream, or just relaxing in a tree stand enjoying the great outdoors. Craig graduated from Penn State University in 1990 with a BA in Administration of Justice Degree and was employed shortly thereafter as a counselor at Adelphoi Village's Hilltop Home. In 1993, Craig was asked to join FICS where he worked for 23 years. He loves determining what is needed to help our Blair County youth and families and developing programming to create positive change within family systems. The Delinquency Prevention Program, Functional Family Therapy (FFT), Attendance Counseling Team 360⁰ (ACT 360), NCTI JPO Cognitive Behavioral Therapy Groups and Victim Awareness Classes are all programs which Evolution Counseling Services, LLC takes great pride in offering the residents of Blair County. Craig continues to actively collaborate and meet regularly with the Juvenile Probation Office, Children, Youth & Family Services, as well as many other county initiatives to strengthen our community. Craig is an active member of the Children's Round Table, Blair County Drug & Alcohol Advisory Council, Truancy Task Force Team, Youth Activities Committee, Suicide Prevention Task Force, Youth League, Integrated Family Service Plan Committee, CASSP Advisory Member, Blair County Providers Association, Provider Advisory Committee, System of Care, Attendance Task Force, Healthy Blair County Coalition and the Rural Impact Community Challenge. Craig was also appointed by the Joint State Government Commission as a Truancy Advisory Committee member to help draft new attendance legislation for the state of PA. As a member of all these important county and state wide initiatives, Craig is not only there to help others around the table, but also to identify what the community's needs are and how our programs will best serve them. Jeff, LCSW, Co-Owner & Clinical Director of Evolution Counseling Services, LLC has been a resident of Blair County all his life. Born and raised in Martinsburg, PA, he is a resident of Williamsburg, PA with his wife and twin daughters. 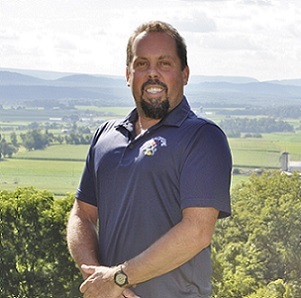 He is a licensed clinical social worker in the state of Pennsylvania working with children and families since his graduation from Juniata College in 1998 with a BA in Communication/Criminal Justice. Jeff earned his Master of Social Work (MSW) in May 2013 from Shippensburg University. 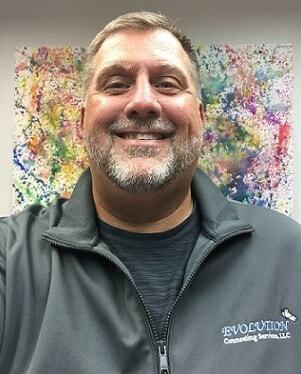 Jeff works as Evolution Counseling Service's Clinical Director. He is also a trained outpatient therapist. He has experience working and supervising within the FFT and Delinquency Prevention programs. Jeff leads the supervision of bachelors and masters level interns at Evolution. Evolution ALLIES is a passion of Jeff's in implementing and providing support for LGBTQI populations (kids and families). Jeff also provides Trauma-Focused Cognitive Behavioral Therapy (TF-CBT) at Evolution in an outpatient setting. Jeff has a wealth of professional and volunteer experience in various related child serving and social service agencies and organizations. In the community, Jeff is an adjunct professor at Saint Francis University in Loretto, PA as well as an assistant varsity football coach for the Altoona Mountain Lions. He has coached football since 1998. He also is the president and a coach in the Williamsburg Youth Baseball and Softball League helping lead the league for the betterment of the young athletes. He serves on the social work education advisory boards for both Saint Francis University and Juniata College. Jeff brings a diverse commitment to success from his numerous clinical and supervisory experiences. When we experience difficult experiences such as trauma, severe life stressors, or a child with a disability, it is not uncommon for our lives to unravel. Adam's great passion is to bring healing to people who have been through challenging experiences. He helps children, adults, and their families find healthy perceptions of themselves and strengthen their relationships. Whether it is a single parent, struggling couple, or a child struggling in home/school, Adam's goal is to help them find their best version of wholeness and strength. Although Adam does not believe that one single theory or approach to counseling fits every individual, he has been trained in several forms of counseling such as: Advanced Play Therapy, Trauma Focused Cognitive Behavioral Therapy, Advanced Marriage and Family Counseling, and Advanced Addictions methods. Adam is a father of five young school age children, a husband, and a passionate dog owner. In addition to his current master’s degree in counseling, he is currently studying how counselors/therapist are affected by trauma either directly or indirectly to finish his PhD studies at Regent University in Virginia Beach, VA in Counseling Education and Supervision. Ashleigh, Delinquency Prevention Program Director and Counselor, enjoys working with kids and families to achieve their goals for success. 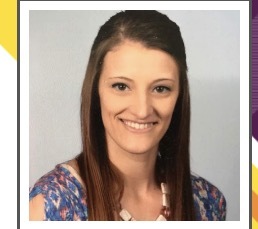 Ashleigh was born and raised in Blair County and feels passionate about helping children and families feel supported so they can also be successful in our community. Ashleigh earned her degree at Penn State University in the field of Human Development and Family Studies. Some of Ashleigh's certifications and trainings include Family Development Credentialing, Expressive Arts for Healing, Motivational Interviewing, Childhood Trauma, LGBTQI, Mending the Cracks in the Truancy Pipeline, Recovery is for Everyone, Youth Mental Health First Aid, Recognizing and Reporting Child Abuse and Zumba Fitness. Ashleigh also helps facilitate Kids Arts for Healing groups, Mom's Club/Group, Zumba Group and other organized prosocial community and family events. 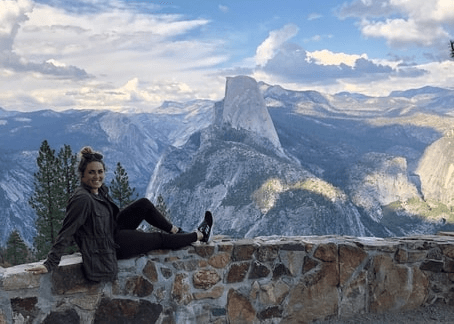 Ashleigh has found unique ways to help children and families feel empowered and motivated through not only counseling services but also dance, fitness, baking/cooking, arts, travel, exploration, hobbies, skill- building and community engagement. Ashley, Act 360 Counselor, grew up in Blair County and graduated from Bellwood-Antis. In 2013, Ashley relocated to Dover, Delaware due to her husband’s career in the United States Air Force. While in Delaware, Ashley began employment as a Lead Teacher in an Early Childhood Center and was later promoted to Center Administrator. Ashley began working with children to make a difference in their life as well their family’s life. She has a passion for helping others and making a positive impact within her community. Ashley doesn’t believe that one theory is right for everyone, as we are alldifferent and unique in our own way. She strives to help and strengthen each child and family she works with through a combination of theories. 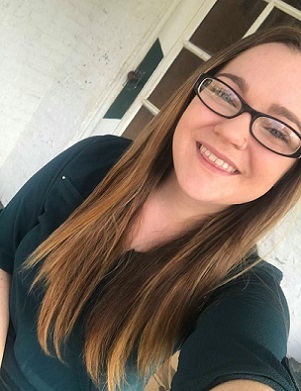 Ashley graduated with honors from Ashford University in 2017, achieving her Bachelor of Arts in Psychology, minoring in Social Criminal Justice. In 2019, she graduated with honors from American Military University achieving her Master of Arts in Psychology. In her free time, Ashley enjoys spending time with her family, going on outdoor adventures and playing sports. Chelsey, ACT 360 Counselor, loves working with children and families to make a positive impact on their lives. Chelsey earned her Bachelor of Arts Degree in interdisciplinary studies at Mount Aloysius College, minoring in Psychology and Criminology. Chelsey also earned her Criminal Justice Addictions Certificate at Mount Aloysius College. Chelsey is very passionate about helping others. Chelsey loves spending time with family and friends, babysitting, shopping, making others smile and going to the beach. Dan, B.A. 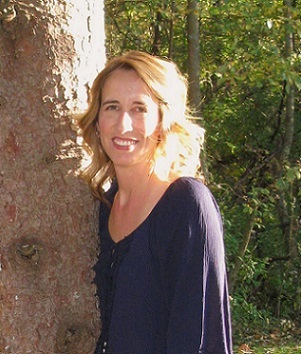 FFT Therapist, grew up in the mountains of western Maryland and has been a resident of Blair County since 1988. Dan values his family time with them where they reside in Altoona. Dan enjoys traveling, going to the beach, and having leisure time hunting in the woods or fishing in a nearby stream. Dan has been working with youth and families since 1991. Dan attended IUP and received a B.A. in Criminology in 1991 and was employed shortly thereafter by Adelphoi Village's Hilltop Home for eight years. Dan accepted a position with the FICS agency in 1999 and had worked in different counseling programs such as reunification & permanency planning and the delinquency prevention program. Dan has been a Functional Family Therapist since 2007. Dan enjoys helping kids and families work on a path towards becoming successful as well as improving and strengthening their relationships. Through the years, Dan has strived to offer a quality service to the youth and families he serves. Gretchen, is a Licensed Professional Counselor and certified in Trauma-Focused Cognitive Behavioral Therapy. Gretchen has a Master’s Degree in Community Counseling and Bachelors Degree in Psychology and Crime, Law, and Justice. Gretchen has past experience working with Addiction, Autism, Anxiety/Depression, Behavioral Modification, ABA, ADHD, as well as other behavioral/cognitive concerns. Gretchen exhibits passion to use animals in the therapy process. Gretchen has a passion for helping others, animals, traveling, and learning. Hobbies include spending time with her girls, husband, family and friends, listening to music, watching TV/movies, photography, traveling, going to the beach, and enjoying life. Larry, began as an intern in September 2017 at Evolution. 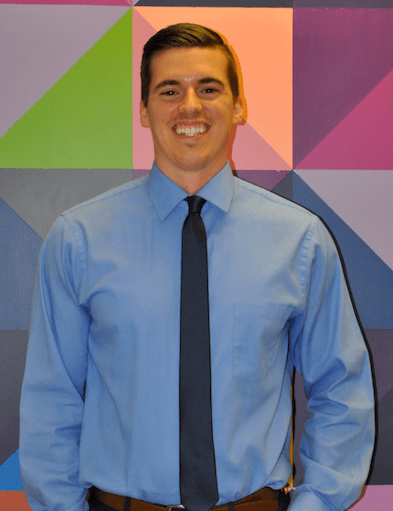 He then began working in December in the Attendance Counseling Team 360 team as a counselor. He has a M.S. degree in General Psychology from Mount Aloysius. He is working towards becoming an MSW Social Worker through Edinboro University. Larry spent the last 7 years working as a Drug and Alcohol counselor in Williamsburg. There he developed and implemented a music program. Before that he worked with adolescents in school based and residential programs. In July he began doing music groups at Evolution Counseling with the JAM group (Juveniles Appreciating Music). Larry studied music at Musician's Institute in Los Angeles, California. 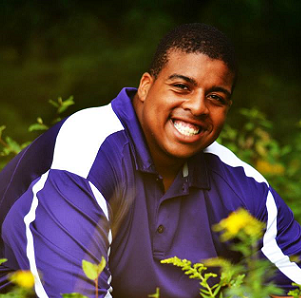 Larry enjoys hiking, playing music, playing sports, watching sports, laughing, and learning. Layla, the Attendance Counseling Team 360 Program Director, is a Licensed Social Worker who has provided strength based in home counseling services to at-risk children and their families for over a decade. Layla earned her Bachelor of Science degree in Human Development and Family Studies from Penn State University, in 2008 and her Master of Social Work degree from The University of Pittsburgh, Pittsburgh, PA in 2013. Layla has completed Trauma Focused- Cognitive Behavioral Therapy training and is in the process of becoming a nationally certified TF-CBT Therapist. Layla is an NCTI Crossroads and Real Colors Facilitator who has provided Cognitive Behavioral Therapy Groups to an at-risk adolescent population. She is also trained in Motivational Interviewing and holds the Family Development Credential. Layla has a passion for using eco therapy techniques in her practice, inviting others to connect with nature which in turn allows them to experience the therapeutic and healing benefits of spending time outdoors. Layla enjoys gardening, fishing, relaxing in the sun, playing sports, watching football, going on adventures, baking, laughing and spending time with her loved ones. Micah got his Bachelor's degree in Sociology and Communication at Juniata College in Huntingdon, PA. He was a camp counselor for 6 years at Camp Allegheny in Stoystown, PA. While in college, he played football for two years and he still plays today as the left tackle for Moshannon Valley Vikings. Micah is also a varsity line coach at Cambria Heights. His favorite quote is "Assumming gets you nowhere but learning gets you everywhere". He'll stick by this quote forever. Michelle serves as an administrative specialist at Evolution, handling client communications and billing functions. Originally from Huntingdon County, Pennsylvania, she currently resides in rural Williamsburg, Blair County with her husband and their three children. She holds a bachelor’s degree in Agricultural Science from Penn State with an emphasis on communications. Michelle has worked in a variety of communications and administrative roles throughout her career and takes pride in helping clients, through determination of appropriate program participation and insurance coverage, become their best selves. Away from the office, she enjoys the outdoors with her husband, spends countless hours at her children’s sporting events, visits family, and hangs out with friends. Olivia is currently a senior at Penn State Altoona undergoing her Bachelors degree in Psychology with a minor in Criminal Justice. She was recently an Intern at Evolution before accepting a position as an ACT 360 Counselor. She is involved within the Big Brother Big Sister program and has been a research assistant at Penn State Altoona. She is planning to pursue grad school for clinical psychology in hopes to have her own practice in the future to counsel families, children, and/or adolescents. She chose the counseling field because she has a strong passion for helping others. Everyone has a story, but everyone should have the opportunity to live a genuinely happy life. In order to overcome any struggle, you need a proper support system -- which can sometimes be difficult to find. She hopes to be a huge part of that support system in all of her future client's lives. 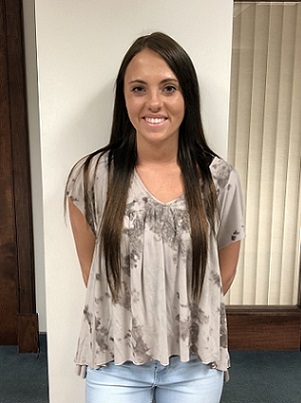 Sarah completed the honors program at Mount Aloysius College with a Bachelor's of Arts degree in Psychology, as well as a specialization in counseling in 2015. Sarah was raised in Bellwood, PA. She is a Delinquency Prevention Counselor and is certified in NCTI Crossroads, NCTI Real Colors, and NTCI Victim's Awareness Curriculum. Sarah has a passion for helping others and is driven to assist others through their journey of learning how to cope, adapt, and grow. She is an animal lover who enjoys spending time with her family, being in the outdoors, traveling, playing sports, and reading. Sarah's favorite travel destinations are beaches and amusement parks. Sarah is currently working towards her MSW at the University of Pittsburgh School of Social Work and hopes to become a Licensed Social Worker shortly after graduating. Taylor, Evolution Expressions Program Director, is a 2015 Mount Aloysius College Graduate with a Bachelor of Arts degree in psychology. She has completed specializations in counseling, expressive arts for healing, studio art, and is certified in criminal justice and addictions. Taylor is also a certified NCTI Crossroads and Real Colors facilitator and has received her strength based family worker credential. 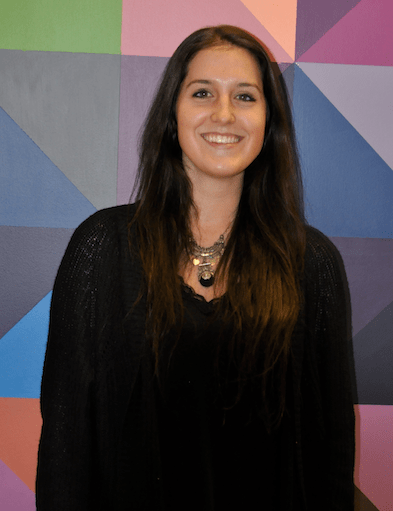 Taylor enjoys working with children and families and has a passion for using art therapy in her practice. She also enjoys the outdoors and traveling in her spare time. 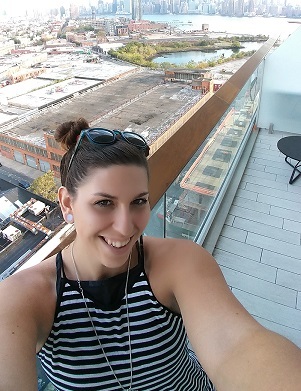 Taylor is a current clinical psychology PhD student with Fielding Graduate University. Here, she pursues research focused on parental incarceration and child exposure to violence topics. Taylor's long term goals include: securing licensure as a clinical psychologist; working to grow and expand Evolution Counseling's scope and reach; and continuing a life of learning, research, and compassion toward others. Taylor, Act 360 Counselor, received her master’s degree in clinical mental health counseling from Indiana University of Pennsylvania in 2018. She also received her board certification as a Nationally Certified Counselor. Taylor has been working with children, adolescents, and young adults since 2015. She plans on pursuing her counseling licensure over the next few years. Taylor has a passion for helping the people she serves improve their sense of self-efficacy through cultivating therapeutic relationships and harnessing individual strengths. She believes that trust and self-expression are key components in making progress toward goals. In her down time, Taylor enjoys hiking, coffee, meditation, thrift shopping, and watching The Office re-runs. Tessa, is a graduate from Mount Aloysius with her Bachelors in Criminology and a Certificate in Forensic Investigation. Tessa is currently working on her Masters of Social Work degree with the University of Pittsburgh at Johnstown. Tessa loves to be outdoors, kayaking, canoeing, swimming, shopping, spending time with friends/family and making people smile. Tessa also has a laid back side where she enjoys scary movies, hot chocolate, popcorn, blankets, and her cats. Tessa first began with Evolution as an ACT 360 counselor and is currently a Functional Family Therapist. Her passion is helping youth and families achieve their goals for success. Todd is a 2012 Penn State Altoona graduate with a Bachelor's of Science degree in Business. Todd is the Program Director for NCTI-CBT Crossroads and Real Colors Facilitation. His focus is providing Cognitive Behavioral Therapy Groups to an adolescent population. He is also program director for Jr. CEO. He is trained in Motivational Interviewing and Victim Awareness Curriculum. In his free time, Todd enjoys spending time outdoors, playing sports, physical fitness, and spending time with his friends and family. Walk in the door every morning and join our passionate and talented work family. We're growing and we would love to have you join us in achieving our mission.